Showers with the chance of some thunder this evening, then skies turning partly cloudy after midnight. Low around 50F. Winds NW at 10 to 20 mph. Chance of rain 80%..
Showers with the chance of some thunder this evening, then skies turning partly cloudy after midnight. Low around 50F. Winds NW at 10 to 20 mph. Chance of rain 80%. Read through the obituaries published today on thesouthern.com. MURPHYSBORO — Joseph “Joe” Cyril Schmit, 74, passed away on Thursday, April 4, 2019, at his residence under the care of hospice. Joseph was born April 17, 1944, on the family farm in Lisbon, North Dakota, to Edward and Cecelia (Weiler) Schmit. He spent his first eight grades in a one-room country school and graduated from Lisbon High School in 1962. He received his Bachelor of Science degree in Chemistry from North Dakota State University in 1966 and received his doctorate in biochemistry from Purdue University in 1971. He did post-doctoral study at University of California, San Diego. In 1976, he was hired by Southern Illinois University at Carbondale School of Medicine where he worked as a professor of biochemistry and chair of his department the last 20 years until his retirement in 2007. He married Cheryl Kay Lahren on Aug. 19, 1967, in Fargo, North Dakota. She survives in Murphysboro. He is also survived by two sons, Peter (Lissa Metzler) of Henderson, Nevada, and Matthew of Carbondale; and two grandsons, Jensen of Henderson, Nevada and Xander of Carbondale. Joe is also survived by brothers, Edward (Bertha) of Davis, California, Donald (Cheryl) of Waupaca, Wisconsin, John of Salida, California, and William (Amy) of Wahpeton, North Dakota; sisters, Ellen Olmstead (Richard) of Brainerd, Minnesota, Barbara Cameron of Montgomery, Texas, and Susan Killingbeck (Keith) of Charlestown, Rhode Island. He is also survived by many nieces, nephews, great-nieces and nephews plus many cousins. He was preceded in death by his parents; two sisters, Kathleen in infancy and Mary Ann Schmit; and nephew, Nicholas Schmit. He retired from SIU in 2007 to spend time traveling and camping with friends and family. He also spent time at their lake cottage in the northwoods of Wisconsin biking and fishing. Memorial services will be at 1 p.m. Saturday, April 27, in Carbondale Unitarian Fellowship with a time of visitation from 11 a.m. until the time of service on Saturday. In lieu of flowers, memorials may be made to Murphysboro Food Pantry, SI Chamber Music Society, Hospice of Southern Illinois or SIH Cancer Institute. To leave a story or memory of Joe, visit www.meredithfh.com. CARBONDALE — Dolly Marie Carter, 60, went to be with her Lord and Savior on Saturday, April 6, 2019, at her residence, surrounded by her family. Dolly was born Aug. 4, 1958, to Billy and Dorothy (Heern) Nance in Carbondale. She married Timothy E. Carter on Dec. 31, 1974, in Carbondale. Dolly most recently worked as a caretaker for the elderly and was adored and trusted by many. She was a member of Drury Christian Church, Carbondale, where she also served as a Sunday school teacher. She and her family are longtime members of the Giant City Booster Club, and the athletic field at the school is named after her husband Tim, Carter Field. She also supported the Southern Illinois Fire Relief Fund with her husband and worked diligently to provide much needed help to those who had lost their homes to fire. Dolly worked hard behind the scenes to support these efforts. Dolly loved sports and was an avid St. Louis Cardinal fan. Her family was her life – she lived for the Lord, her "kids" and her "grandkids." She will be missed by all who knew her. She is survived by her husband of more than 44 years, Timothy Eugene Carter; sons, Joshua Eugene Carter, Christopher Eugene Carter and wife, Lindsey, all of Carbondale; five grandchildren, Cameron, Leah, Ethan, Anabelle, and Michael; brother, Jerry (Sherri) Nance of Carbondale; sisters, Pam (Bud) Robbins of Makanda, Jeanie (Dennis) O'Keefe of Carterville, Beth Caraway of Murphysboro, Becky (Alan) Roberts of Carbondale, Sandy (Lee) Taylor of Makanda, and Margie (Ed) Williams of Carterville. She was preceded in death by her parents; son, Jason “Tank” Eugene Carter on Sept. 25, 2018; and nephew, Chad O'Keefe. Services for Dolly will be at 1 p.m. Monday, April 15, with visitation from 11 a.m. until the time of service at Meredith Funeral Home, Carbondale. The Rev. Tommy Monroe and Dennis O'Keefe will officiate. Burial will follow in Murdale Gardens of Memory, Murphysboro. Memorials may be made to The Carter Fund or Drury Christian Church and will be accepted at the funeral home. To leave a story or memory of Dolly, visit www.meredithfh.com. DU QUOIN — Bob Gooden Sr., 92, passed away April 10, 2019, in Memorial Hospital of Carbondale. Services will be at 1 p.m. April 16 in Searby Funeral Home in Du Quoin. Visitation will begin at 11 a.m.
CARBONDALE — Robert Chase (Bob) Child, 91, died at 10:10 a.m. Saturday, Nov. 10, 2018, in Memorial Hospital in Carbondale. A Celebration of Life for Bob will be from 1 to 3 p.m. Thursday, April 25, in Jackson County Country Club, 5776 Country Club Road, Murphysboro. Everyone who knew Bob is welcome. Interment of ashes will occur at a later time. Bob was born May 28, 1927, in St. Mary's Hospital in Quincy, to Louis Napoleon and Jessie Marie (Wilson) Child. He married Frances Ann (Fran) Andrew on Sept. 28, 1951, in St. James' Episcopal Church, Marion. Bob is survived by his wife, Frances of Carbondale; his daughters, Chanda Child and husband, John McKown of Carbondale, and Tressa DiGiorgio and husband, John DiGiorgio of Summerfield, North Carolina; daughter-in-law, Heidi Fisher and granddaughter, Hillary Child of Coeur d'Alene, Idaho; three grandsons, Ian DiGiorgio, his wife, Tamara DiGiorgio and their daughters, Adalyn and Reese DiGiorgio of Greensboro, North Carolina; Jared DiGiorgio, his companion, Rebecca Jackson and their son, Jordi DiGiorgio of High Point, North Carolina, and Joel DiGiorgio, his son, John Cohen DiGiorgio, his daughter, Annie DiGiorgio, and Lauren Cooklin, mother of Cohen and Annie, of Greensboro, North Carolina; a niece, Karen Andrew Snow of Marion; and a nephew, Keith Andrew of East Peoria. He leaves also cousins, Harlley McKean and wife, Betsy of Calabasas, California, and Sharon Fillitti Patish of Miami, Florida. He was preceded in death by his parents; his son, Jeffrey Child of Coeur d'Alene, Idaho; his paternal grandparents, Fred Chase and Lulu Belle Child of Chicago; maternal grandparents, Charles Arthur and Mary Gould Wilson of Quincy; a brother and sister-in-law, William (Bill) and Juanita (Columbo) Andrew of Johnston City; and numerous uncles, aunts and cousins. To view the full obituary, visit www.crainsonline.com/obituaries. BENTON — Donald E. Rogers, 83, passed away at 11:30 p.m. Thursday April 11, 2019, at his residence. Donald was born Dec. 28, 1935, in Hamilton County to Ralph and Mirkie (nee Thomas) Rogers. He is survived by his wife, Ruth (nee Meeks) of Benton; son, John (Kim) Rogers of Westmont; daughters, Elizabth Arnold of Brandon, Florida, and Cynthia LaCour of Pass Christian, Mississippi; grandchildren, Ryan (Erin) Arnold of Austin, Texas, Kegan Arnold of Milwaukee, Wisconsin, Cally (Marc) Genson of Algonquin, and Scott (Megan) Rogers of Buffalo, New York; and great-granddaughter, Emerson Arnold of Austin, Texas. He was a member of Faith Lutheran Church in Mount Vernon. Don worked for the U.S. Postal Service for 36 years. He rode the train sorting mail between Southern Illinois and Chicago. He was the postmaster at Orient, Sesser, and finally at his hometown of McLeansboro. He loved to crappie fish at The Social Security Wall at Rend Lake and he supplied lots of folks with bags of fish. He was the owner of Rogers Nursery for many years. He loved woodworking, making birdhouses, squirrel feeders and yard decorations. Cremains will be interred at Oddfellows Cemetery in Norris City at a later date. In lieu of flowers, memorials may be made to SSM Health at Home Hospice of the Good Samaritan in Mount Vernon and will be accepted at the Union Funeral Home. Union Funeral Home in West Frankfort is in charge of arrangements. 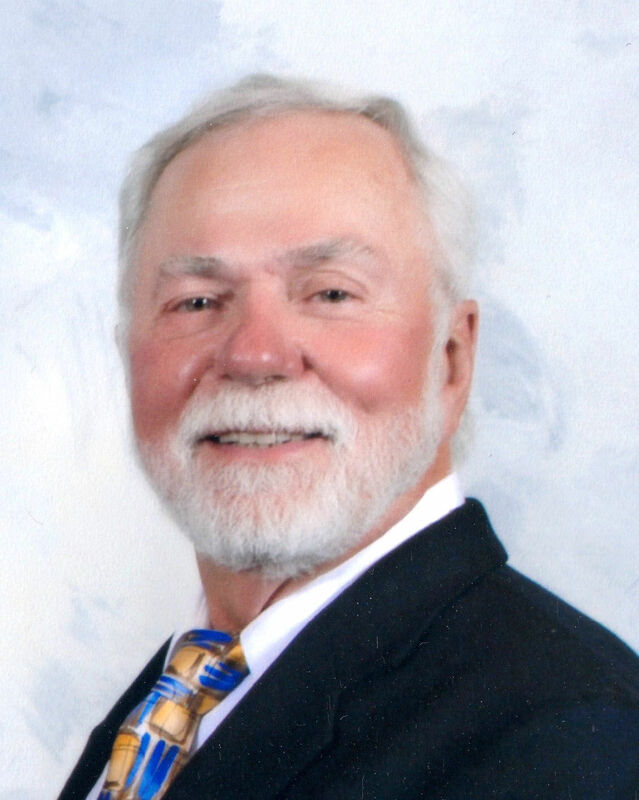 CARBONDALE — William McCutchen, 68, departed this life on April 11, 2019, in Memorial Hospital of Carbondale. Services will be at 11 a.m. Thursday in Praise Central Church of Deliverance. Visitation will be from 10 to 11 a.m. at the church. Burial will follow in Oakland Cemetery. Jackson Funeral Home of Carbondale is in charge of arrangements. MARION — Regina Kay Hendrickson, 70, peacefully passed on to be with our Lord and Savior at 3:45 a.m. Saturday, April 13, 2019, from her home surrounded by her family. Services will be at 11 a.m. Wednesday, April 17, in Pyle Funeral Home, with Pastor Michael Nave officiating. Interment will follow in Union Grove Cemetery near Pittsburg. Visitation will be from 5 to 8 p.m. Tuesday at the funeral home. Memorials may be made to the Michael J. Fox Foundation. Memorial envelopes are available at the funeral home. For additional information or to sign the book of memories, visit www.pylefuneralhome.com. 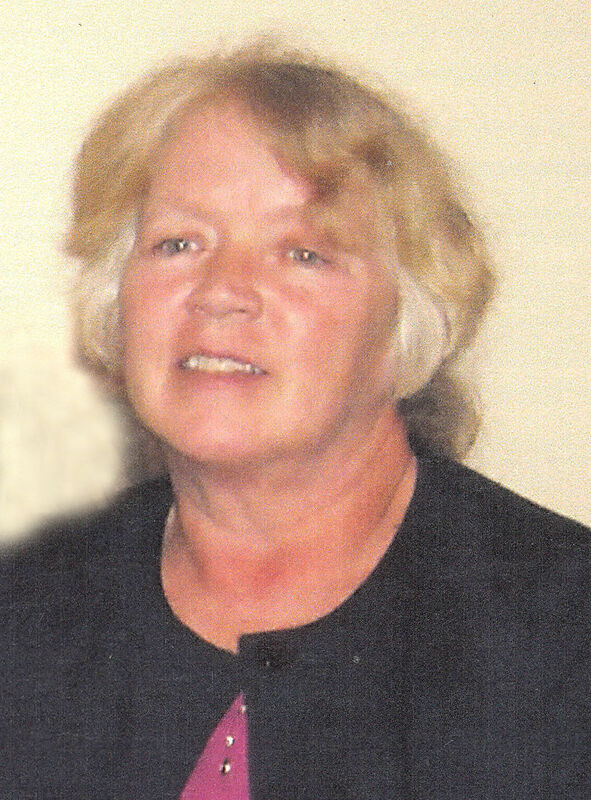 JOHNSTON CITY — Frances Ann Brock, 74, died at 12:30 a.m. Saturday, April 13, 2019, in The Anchor of River to River in Marion. Celebration of life will be at 1 p.m. Wednesday April 17, in Murman and Wilson Funeral Home in Johnston City. Visitation will be from 11 a.m. to 1 p.m. Wednesday at the funeral home. Frances was born Jan. 19, 1945, in Chicago, the daughter of Ralph and Lois (Evans) Hope. She married Jim Brock in 1964 in Johnston City, he survives. Frances was a Registered Nurse for more than 50 years last working for the Johnston City School System, retiring in 2017. She is survived by seven children, Steven Brock and wife, Lucy, of Johnston City, Bob Brock and wife, June, of Forsythe, Stephanie Cook and husband, Tyler, of Burlington, Iowa, Mike Brock and wife, Cheryl, of Shorewood, Nickki Duncan and wife, Lee Ann, of Louisville, Kentucky, Jason Brock of Johnston City, and Nathan Brock and wife, Charlotte, of Lexington, Kentucky; nine grandchildren, Heather Steinberger and husband, Aaron, Gary Munsen, Robby Brock, Annie Brock, Tyanna Brock, Anikka Cook, Tristen Cook, Brock Duncan, Mark Brock; great-grandchildren, Darrian Steinberger, Kyle Steinberger, Jane Buckles; great-great-grandchildren, Kamden Teffertiller, Danny Teffertiller; a sister-in-law, Connie Hope of Johnston City; stepfather, Jim Cooper of Johnston City; and many nieces, nephews and cousins. She was preceded in death by her parents; a sister, Janice Sue Vaughn; and a brother, Bill Hope. To sign the guest register or for more information, visit www.murmanandwilson.com.